What a week. This week has been beyond exhausting and I know most of you are likely feeling the same way. I don’t remember a week with more tears. Considering the gloom that has come this week, I have been trying to more purposefully find things to look forward to and stay positive about what I can control. Museums have always helped to lift my mood and there are quite a number of exhibitions that I am looking forward to seeing. Below are some of my top picks I am looking forward to seeing in the coming weeks and months. 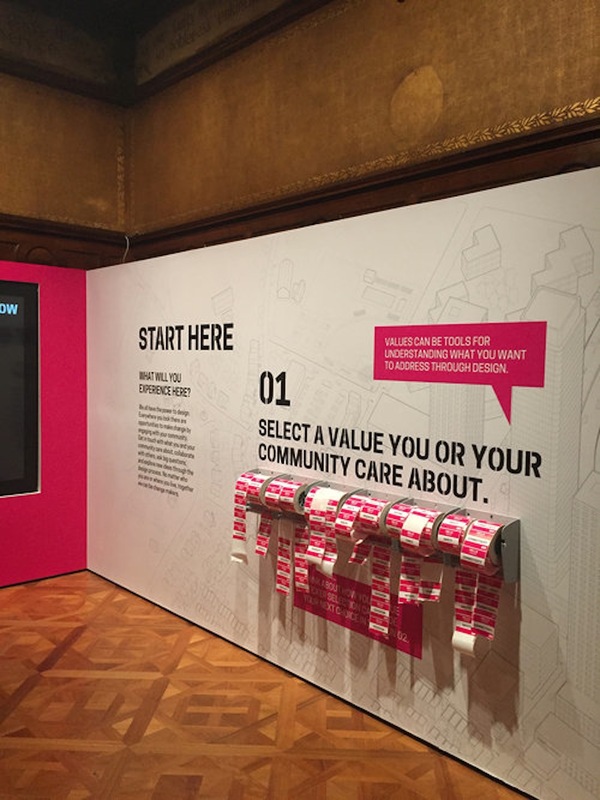 “By the People: Designing a Better America” at Cooper Hewitt, Smithsonian Design Museum, looks at the challenges that communities around the United States face and how design attempts to alleviate these issues. The exhibition is part of a series of exhibitions at the museum that look at socially responsible design. The design on display includes projects that work to address housing, education, transportation and social issues. Below is an example of one of the projects being showcased. I have always found the exhibitions at Cooper Hewitt to be very thought-provoking. It is easy to forget how many different areas design encompasses and how powerful a force it can be. The exhibition also includes their process lab space (shown in the photo at the top of this post) and challenges visitors to consider how design can help improve communities. I know I definitely would like to consider how we can make a better America. To read more about some of the projects on view, check out this review by Dezeen. This exhibition at the Jewish Museum looks at the work of Pierre Chareau, a French designer who was known for his innovative furniture and ability to cater to modern life. I have come to really appreciate design exhibitions, but this one also supposedly has a virtual reality component that I am looking forward to seeing. This is expected to be a very popular exhibition in 2017 and I am very excited to see the “infinity rooms.” The “infinity rooms” are full of LED lights creating a unique effect. The exhibition attracted a lot of attention on social media and is expected to do so in the U.S.It is going to be at multiple museums as this exhibition will be in North America for the first time, and the Hirshhorn is its first stop. Yes, I can’t get enough of design exhibitions. So in case you find yourself in Chicago (as I will during winter break), have no fear, the Art Institute is going to have what looks to be a fantastic exhibition. The exhibition will look at “the modern chair, the emergence of postmodern design, and contemporary identity systems in modern design” (from the Art Institute exhibition page. The museum had a preview of the exhibition in October, and I was a bit upset as I thought I had missed the main exhibition- but then I realized the full exhibition opens in December. Image at top of post is featured on is-architects.com. It always amazes me how therapeutic art can be. Creative expression is key in times like these, I think at least. I love the way you incorporated the pictures into your post as well. I honestly think I stared at that pic of the “infinity mirrors” for a few minutes before continuing on with the rest of the post. Hi- glad you liked the post! And yes the infinity rooms are supposed to be amazing. This is really funky. I can’t get over this. You used photos really well and the list format is super helpful. Plus I really liked the video you attached. I look forward to reading more if your blog.